There are many dangers for our pets, every day. Even something as simple as a bit of road salt transferred from our boots to the carpet in our homes can cause sickness ranging from mild upset stomach to death for a little ct who has licked his paws clean and ingested some of it. Poinsettias are another problem, because they, too can make your kitty sick! Not the instant death some say they can cause, but even a little toxin is unacceptable to those of us who share our lives with cats, dogs and other non-humanoids. I wanted to mention this and honestly should have earlier, but better late than never, so here is some information that may be of use. I hope you all have a terrific new year and your pets,, too! Fruitcake, snow globes, bread dough – who knew these holiday staples could harm pets? 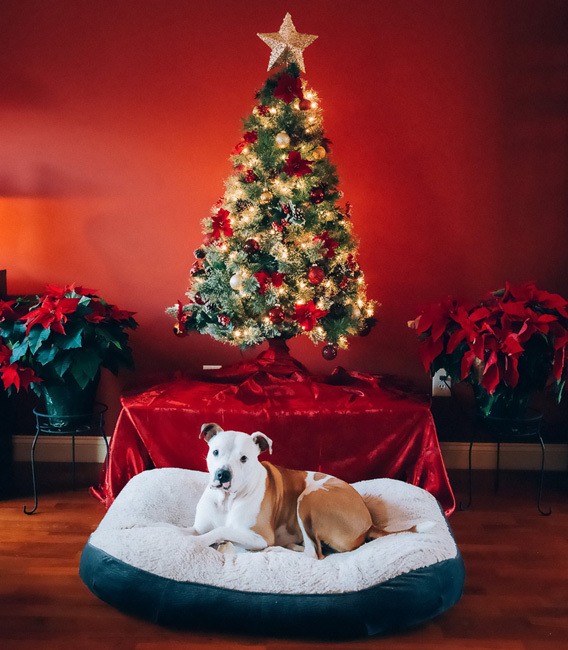 From meds to goodies to plants – plus the big 5 holiday dangers – this simple list of holiday No No No may help save pets’ lives, so share with your community and fellow pet lovers! For more information on things toxic to cats, please read my Cat Toxic Plants Page and Cat Safe Plants Page on my other blog, MyCatsite by Raven Fabal, a great resource and fun placde for all cat lovers! I will add more on pets and toxic dangers in my MyCatsite blog but for now, have a happy and safe new year!